Email us a writeup of your Mango flight to Port Elizabeth & we will send you a travel voucher to discount the cost of your next one! 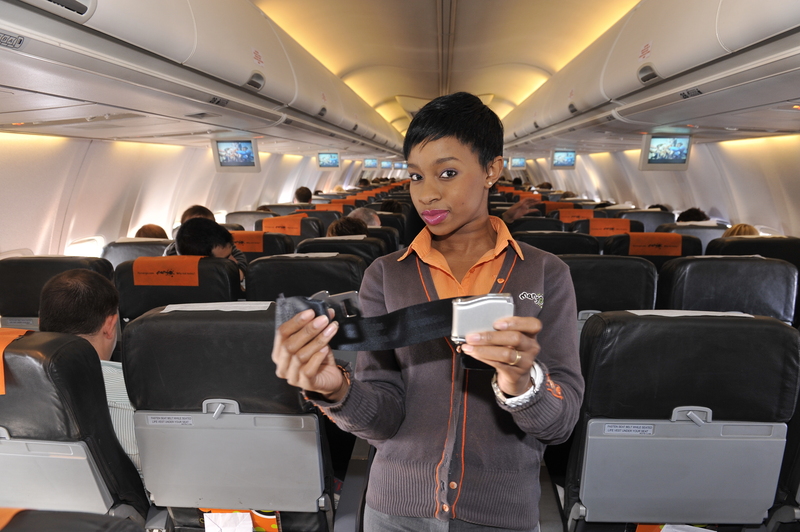 Johannesburg to Port Elizabeth (JNB to PE started flying on the 5th December 2012). To book a cheap flight use the airline price comparison tool on the left. 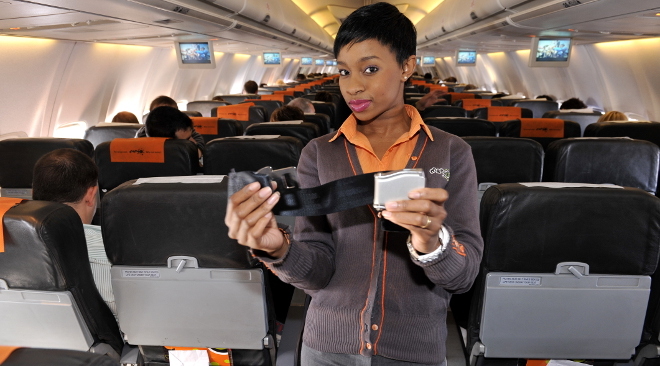 Mango Airlines has cancelled their Cape Town - PE service. The airline will stop flying on the route from the 15th of October 2015. Johannesburg flights are from O.R. Tambo International Airport. It is expected to take 1 hour and 45 minutes to cover the 907km from JNB to PLZ. 5 December 2012. Mango Airlines launches flights from Johannesburg to Port Elizabeth (this follows shortly after 1time airline went into provisional liquidation, and stopped flying the route). 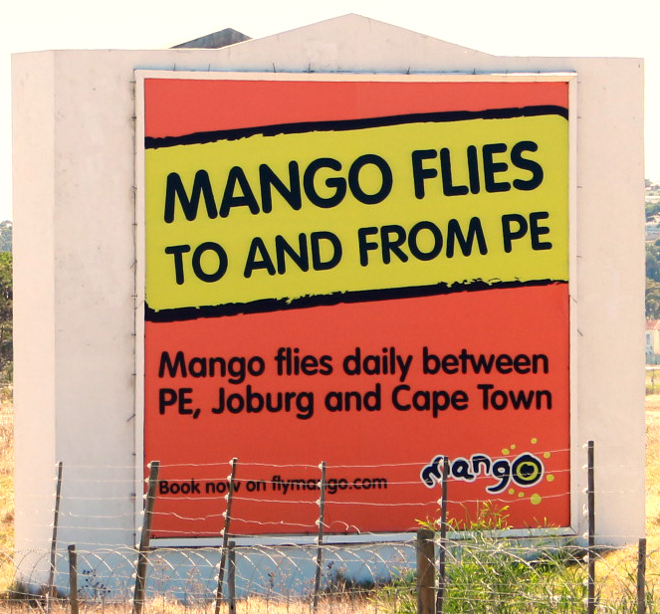 In the 6th June 2011 South Africa Travel Online kicked off an online campaign to try convince Mango Airlines to fly to Port Elizabeth. And in the end, they did! "We call all lovers of Port Elizabeth to gather together and have your voices heard as one, to petition our airline (yes, Mango is owned by us, the people) to start flying to Port Elizabeth. We call upon you to rally with us to petition the people’s airline - Mango Airlines - to fly to the new frontiers of the city of Port Elizabeth. We now have Mango Lanseria to Cape Town flights, so Johannesburg has a second airport with Mango flights before Port Elizabeth has its first. In South Africa mass action is the language of the people. Once 10,000 people have "liked" the Mango Port Elizabeth Facebook page we will take the next step of approaching Mango."